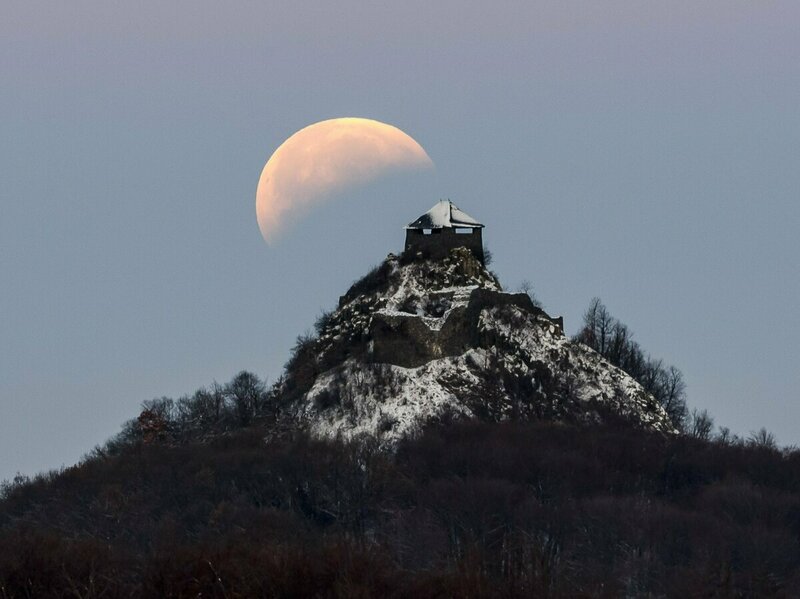 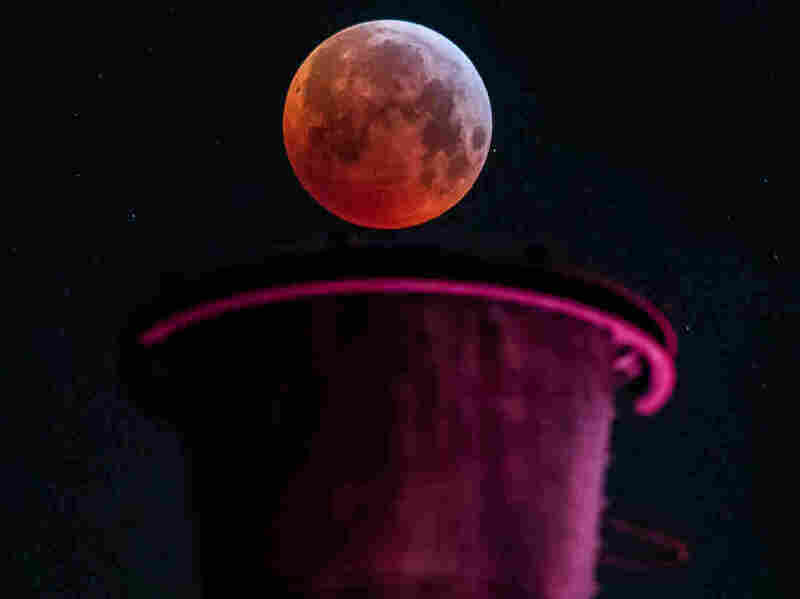 PHOTOS: Super 'Blood Moon' Wows A total lunar eclipse that coincided with a supermoon made the moon appear gigantic and red in the January night sky. 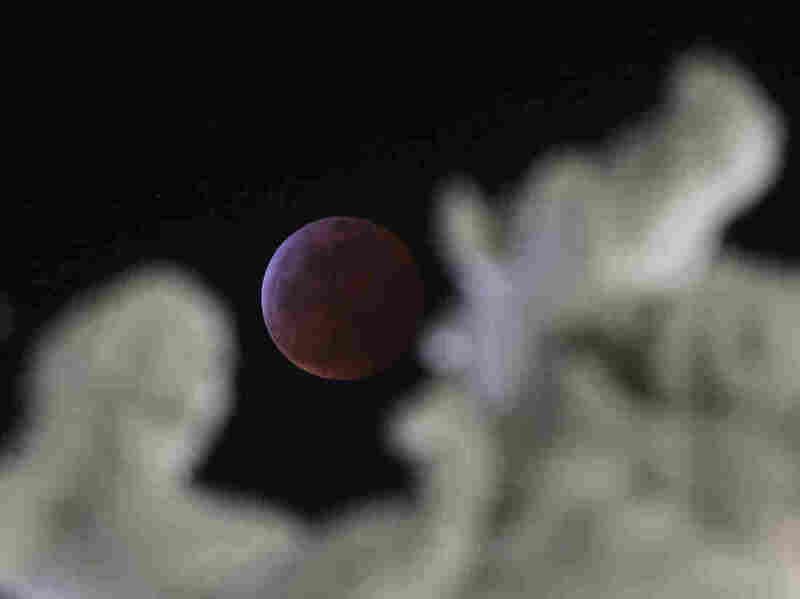 Some people even hailed the lunar spectacle as a "super blood wolf moon," or various permutations of those four words. 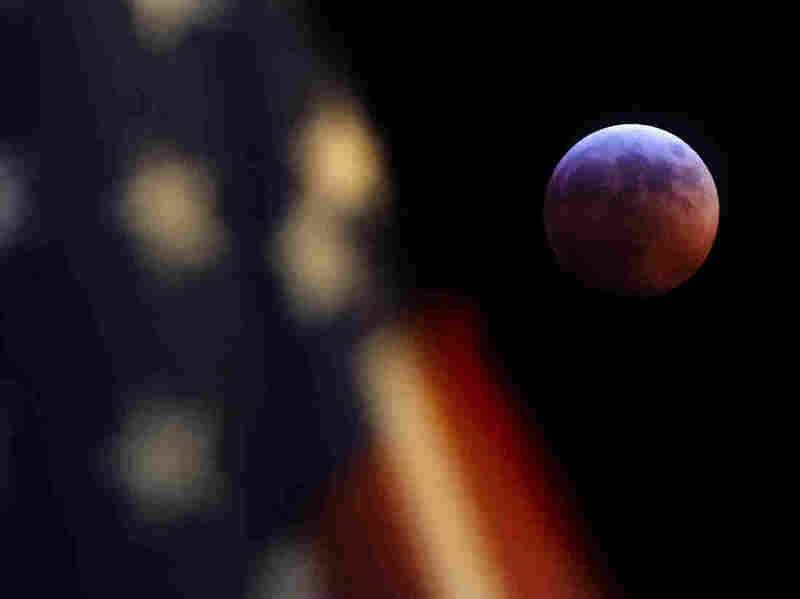 That's because "wolf moon" is the traditional name for January's full moon. 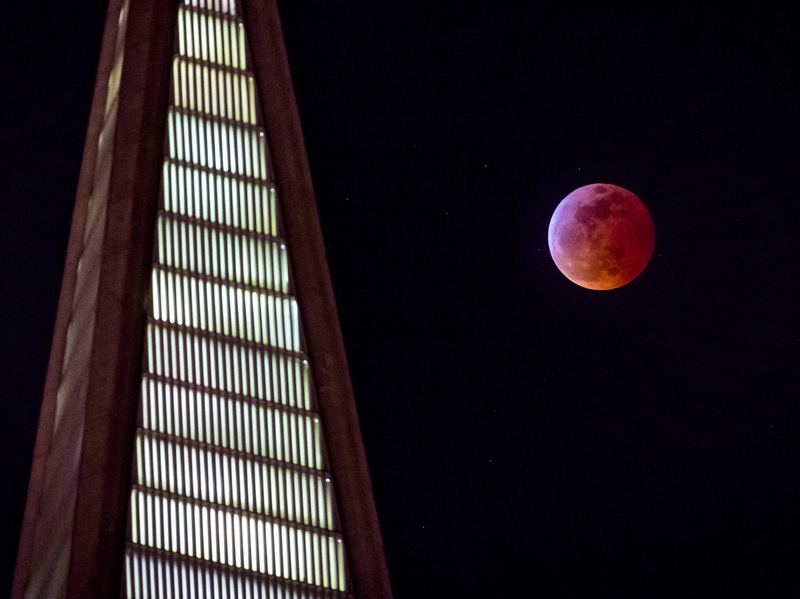 The "blood moon" rises behind the Transamerica pyramid in San Francisco on Sunday. The red moon hangs above an industrial plant in Duisburg, Germany.